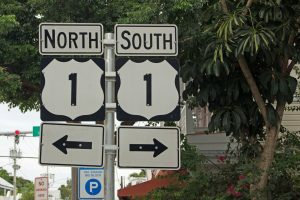 The Miami Herald reports the women were attempting to make a left turn on Tea Table Bridge in the Florida Keys in March. As they waited to make their turn, the large truck hauling portable toilets hit them from behind, propelling their small car into the opposing lane, where it was then struck by the driver of a mobile home. The women were all wearing their seat belts, but according to state highway patrol investigators, it didn’t matter because the impact to the passenger side was so severe and so deep. It was so horrific that it was only once the troopers had cleared the scene they discovered the body of the fourth victim inside the vehicle. They had been visiting from Spain. The driver of the truck that rear-ended them was given a citation for careless driving. Fort Lauderdale truck accident attorneys are heartbroken at this stunning loss of vibrant young lives of those who sought only to appreciate the beauty of our state. As long-time wrongful death lawyers, we know full well the devastating injuries and losses that result when these types of large vehicles are involved in South Florida collisions. It comes down largely to the size differential between these large loads and the smaller passenger vehicles more ubiquitous on our roads. The Federal Motor Carrier Safety Administration reports in its most recent Large Truck and Bus Crash Facts report that in 2016, a total of 4,440 large trucks and buses were involved in deadly crashes, which was a 2 percent uptick from the year before. It’s also nearly a 30 percent increase from the statistical low of 3,430 in 2009. Of the roughly 475,000 police-reported crashes involving large trucks, less than 1 percent were fatal, but that still amounted to nearly 3,900 deaths. More than 80 percent of these deaths were those not in the truck, but rather those in passenger vehicles, on bicycles or walking. Further, 22 percent – or 104,000 – resulted in injury. Anytime large trucks are involved, the resulting injuries are likely to be serious, mostly thanks to the disparate size of the vehicles involved. This is exacerbated if one or both vehicles involved is speeding or traveling too fast for the road conditions. In this case, according to the Miami Herald, the European victims, all 30- and 31-year-old women, were killed on a two-mile stretch of the Keys highway where accidents are so frequent, the Monroe County Sheriff asked the Florida Department of Transportation to reduce the speed limit from 55 mph to 45 mph. FDOT initially denied the request, but later agreed to lower it – for now – to 50 mph. The sheriff speculated the reason for the high number of crashes is that it’s a popular spot for people to pull over to launch boats, take pictures, swim, fish, paddle and picnic.